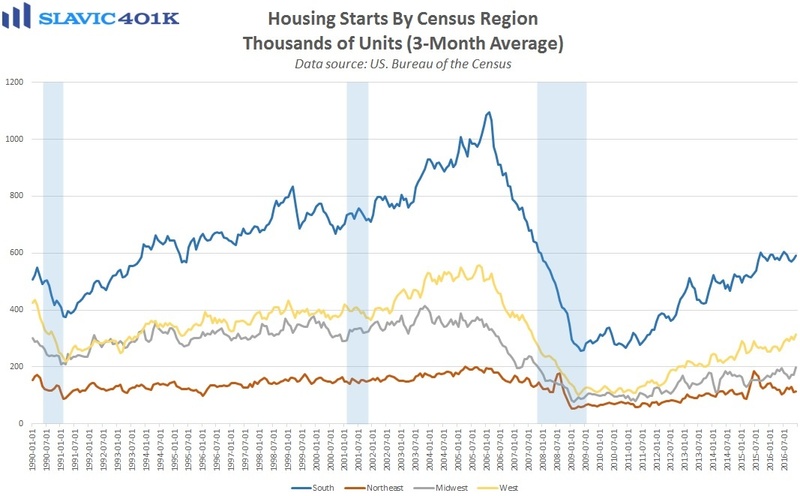 Elsewhere, a report from the U.S. Census Bureau showed that privately-owned housing starts in December grew at a seasonally adjusted annual rate (SAAR) of 1.226 million units. 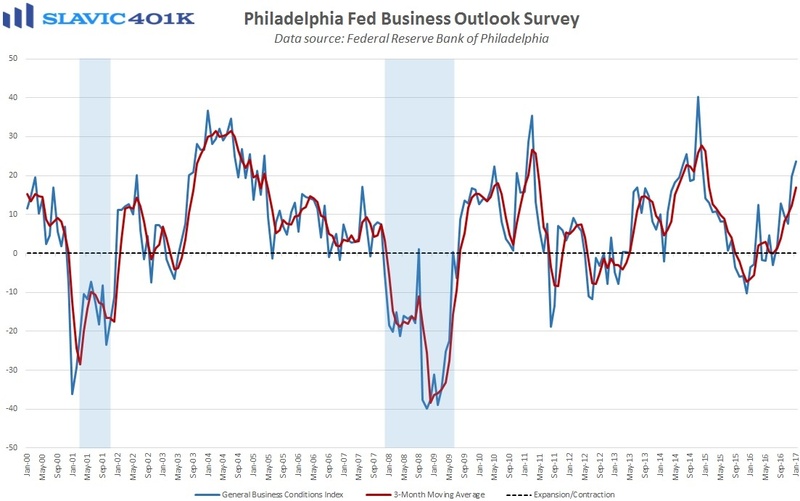 That was an 11.3 percent jump from November’s upward-revised print, a better rebound than economists had anticipated, and the second-largest monthly increase of 2016. 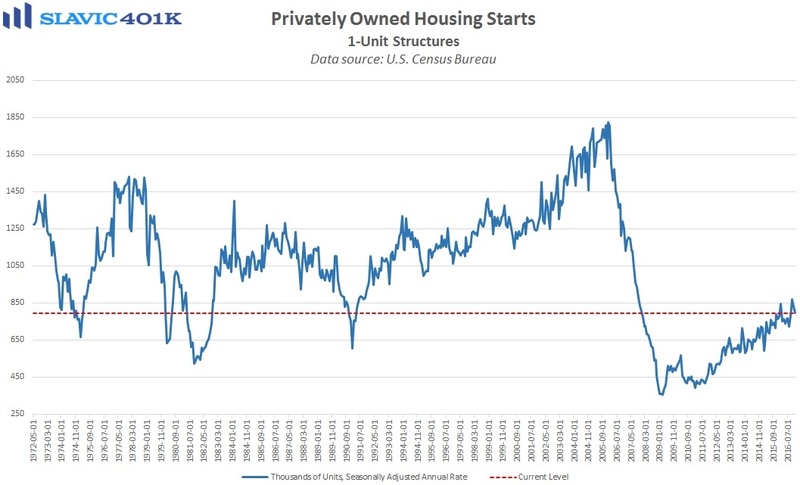 However, essentially all of the headline gain in December resulted from a 53.9 percent surge in multi-family units (rentals), while single-family housing starts declined by 4.0 percent. 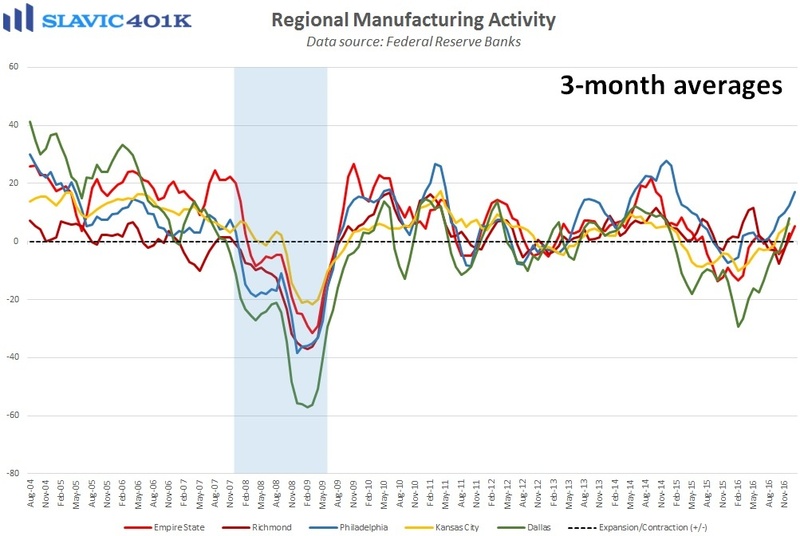 Regionally, housing starts decreased in the South (-1.4%) last month but rose in the Northeast (+18.5%), the Midwest (+31.2%), and the West (+23.5%). Total building permits, a popular gauge of future construction activity, slid by 0.2 percent in December, in line with yesterday’s slight pullback in homebuilder sentiment. 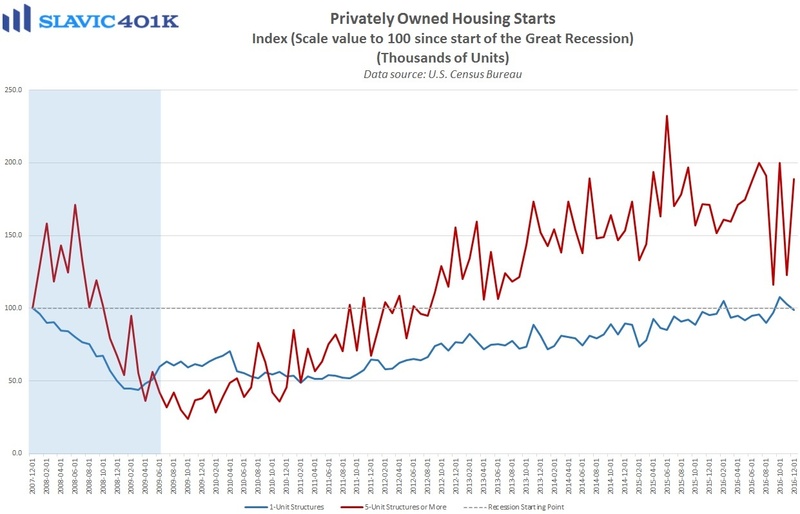 Single-family building permits, though, rose to a recovery high last month, suggesting that the recent slowdown in single-family starts may be temporary.